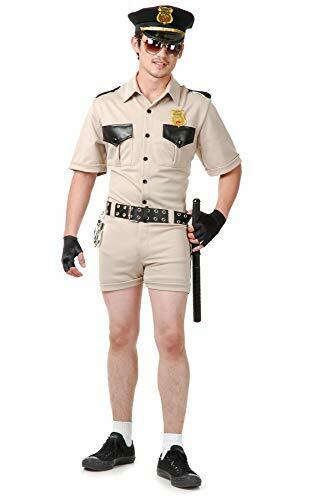 The men's lt dangle costume includes the shirt, shorts, badge and utility belt. This Reno 911 comes in adult size Standard. 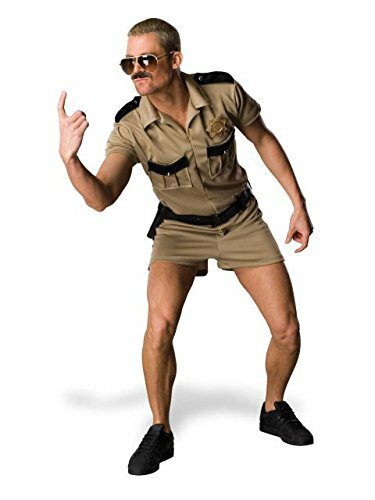 This hilarious lt dangle for men is an officially licensed Reno 911 costume. 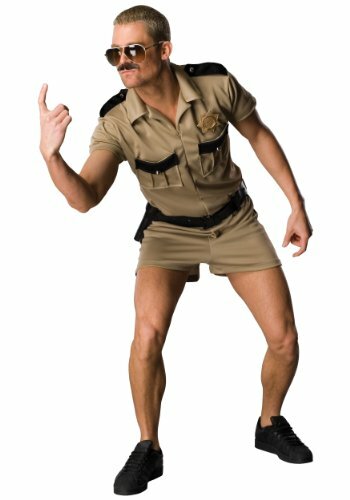 This Reno 911 is an officially licensed Reno 911 costume. Aviator sunglasses, baton, gloves, and handcuffs sold separately. Everyone's favorite Reno cop would love to come home with you, Now he can! Rubies brings you their masquerade concepts line: high quality costumes from all of our most popular licensed lines a price you can manage. A world-leader in the creation of costumes, make up and accessories, Rubie's costume Company is a family-owned and run business based in new York state. With more than 60 years experience and the largest selection, Rubie's has the costumes and accessories children and adults want for Halloween and year-around dress up fun. Calling all officer Dangles! This one piece cop costume is sure to turn heads. With a nice dose of high thigh exposure, a built in mock tie and a dual front zipper you will be everyones favorite police officer. This police officer costume will be a crowd pleaser all night long! Enforce the law and show off some leg while you're at it! 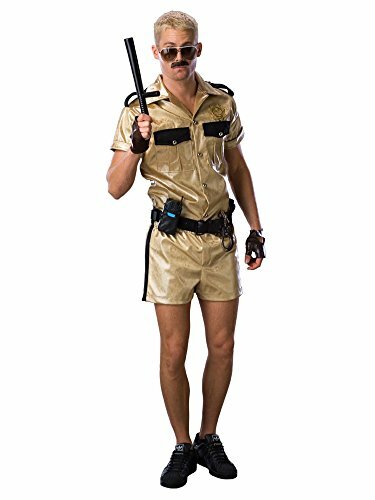 Adult humorous reno patrol costume set features a law enforcement inspired khaki colored short sleeve shirt with black pocket flaps; shoulder accents and button front, tan fitted stretch short-shorts, black belt with silver grommet details; black hat with gold badge detail on front. Get ready for a night of fun and sure to be full of laughs along the way. 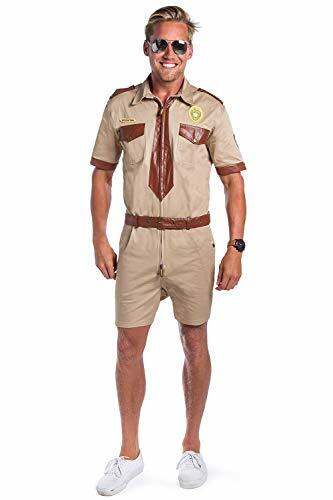 Includes shirt, shorts, belt and hat; all other pieces shown baton, gloves, glasses, handcuffs and boots sold separately. From inspiration, through design and construction, Charades takes pride in quality materials and excellent finished products.